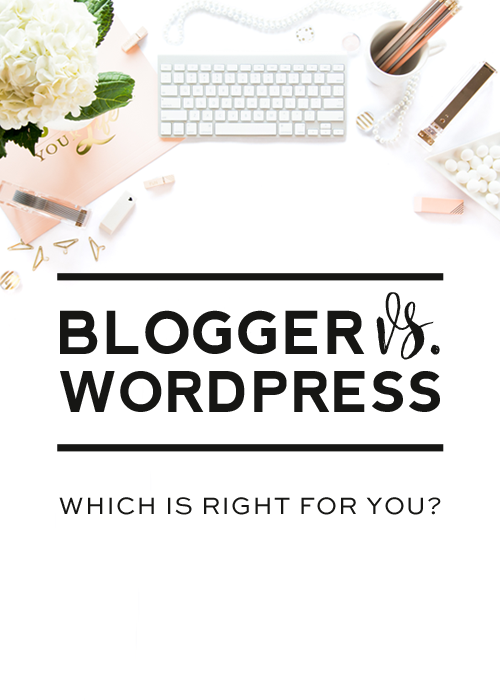 A question we get asked all the time by new bloggers is “which is best: Blogger or WordPress?” First of all, both are amazing blogging platforms that are widely used by bloggers all around the world. Since we design for both platforms, we have a pretty good understanding of the advantages and disadvantages of each and hope this post will give some clarity as to which platform is right for you. Please note: in this post when I say “WordPress”, I am specifically talking about the self-hosted version of WordPress, not the free WordPress.com version. Learn more about the differences between WordPress.com and self-hosted WordPress here. Blogger vs WordPress…so which is right for you? In short, if you have a tight budget or are just starting out and not entirely certain if blogging is for you, then Blogger is probably the best option for you. 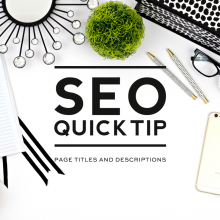 It allows you to get some blogging experience under your belt before you jump into the big leagues with the time and expense involved with a self-hosted WordPress site. If you find yourself needing more in the future, there is always the option to move over to WordPress after you’ve established yourself as a blogger. Designer Blogs offers Blogger to WordPress migrations and can help you with this if/when the time comes. If you have aspirations of becoming a professional blogger and/or earning any type of income from your site, then a self-hosted WordPress site is the best option for you. If you are building a feature-rich blog like a DIY blog, recipe blog, fashion blog, etc, and plan to add recipe pages, portfolios, and galleries, then again WordPress would be the better choice for you. 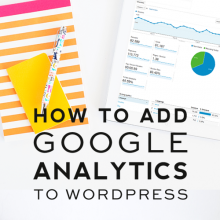 The best thing about WordPress is that it provides your site with endless possibilities for growth. I have a family blog (I don’t use it much anymore) set up on Blogger and it has been perfectly sufficient for my needs. I don’t need a lot of bells and whistles and also don’t have a need/desire to profit from it in any way, so Blogger has been the right platform for my family blog. In contrast, I originally set Designer Blogs up on Blogger, but quickly realized Blogger just wasn’t cutting it and moved it over to self-hosted WordPress. I intended to profit from Designer Blogs from the very beginning, so starting out on self-hosted WordPress would have been the better choice. Making the switch from Blogger to WordPress allowed me to expand the site in ways that would not have been possible had I remained on Blogger. That’s my story. Now I want to hear yours! Do you use Blogger or self-hosted WordPress? Why has it been the better choice for you? NEED HELP MIGRATING TO WORDPRESS? We’d love to help you! Contact us for a quote. WordPress all the way! You make some great points here Erin. Thanks for sharing! This is such a helpful article, Thanks Erin! I have a blogger blog, and I’ve been feeling for a while now to expand, grow and branch out I need to make the switch to WordPress. This was helpful in my own thought process. For me word-press is the best, nothing like having the freedom to host your website and the tons of plugins that come in for any thing and every thing. Cons like spam comments and hacking could be overcome by using plugins and super secured servers. I have to agree with Katie, Blogger takes the cake with its simplicity and ease of use. Especially those who are not techies and just want to write with out bothering with technical issues would naturally opt for Blogger. Though word-press is far more versatile but simplicity is the most important criteria and every tool would be judged based on this first. I’m actually a bit frustrated about this problem I have. 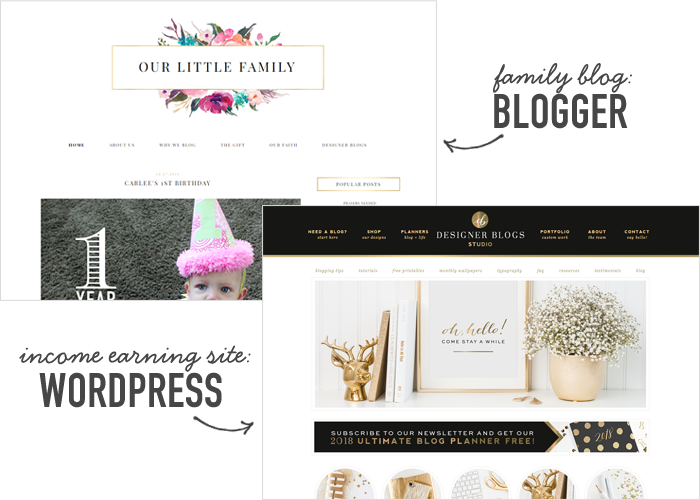 If you plan to eventually make money with your blog, then I highly recommend moving to WordPress. 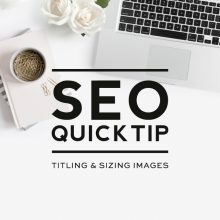 This tutorial will walk you through the steps: https://www.designerblogs.com/how-to-launch-a-wordpress-blog/. You can then purchase through our blog accessories shop the “SITE CONTENT TRANSFER (WORDPRESS) = $100” and we can get all of your content transferred from your Blogger blog over to your WordPress blog for you. Hope this helps! Congrats on the move! We are so glad this helped you. There definitely is a little learning curve moving to WordPress, but once you settle into it, you won’t want to go back. Your site looks great! I had a WordPress.com blog years ago but had to give it up due to certain life events. I used to think I was tech saavy but with all the changes in those years I’m not so sure. I’m planning to start a new blog that I would eventually want to make money from so I understand that WordPress.org is the preferred choice I’m just afraid that I may not have an easy time with it. Since I don’t plan to begin any kind of monetization strategies until I have a healthy following, is it wise to maybe begin with a blogger or wordpress.com while I learn all the technical aspects of a beginner, or should I just jump right in and try to learn self hosting from the get-go? Any thoughts? You made great points. Thanks for sharing.